Finding the right car seat and using it correctly seems difficult enough for most people, especially when car seat guidelines seem to keep changing. But your child may need a specially made child restraint system if he has certain medical conditions. These medical conditions might include having a tracheostomy, decreased muscle tone, recent surgical repair of myelomeningocele, being in a spica hip cast or body cast, or even behavior problems that lead a child to repeatedly unbuckle a car seat's harness straps. 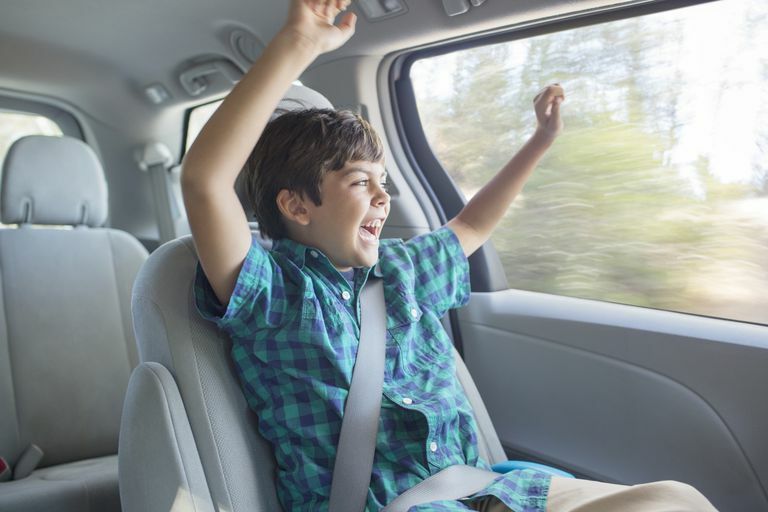 If your child has hyperactivity, autism, or emotional problems, the protection afforded by riding in the back seat in accordance with the guidelines for all children is still the first choice. That may mean that an adult has to ride in the back seat as well as to monitor your child's behavior. If your child must ride in the front passenger seat, you need to be able to deactivate the passenger airbag for safety. For children who unbuckle their seatbelt, there are high back booster seats with internal harnesses routed underneath that can keep them from unbuckling the restraint. There are also vests with a back closure that can help. Angel Guard Infant Car Bed: This can be used for infants who weigh up to 9 pounds. It is mostly used for low birth weight premature babies who can't tolerate a standard, rear-facing infant car seat, or who can't lay on their backs. 2000 Integrated Positioning System (IPS) Car Seat from Inspired by Drive. A forward-facing car seat that accommodates special needs children weighing between 20 to 102 pounds and up to 60 inches in height. Spirit Plus Adjustable Positioning System (APS) Car Seat from Inspired by Drive: A forward-facing car seat that is designed for special needs children between 25 to 130 pounds and up to 66 inches in height. It has an optional swing-away hip and trunk supports. Spirit Car Seat by Inspired by Drive: It is a forward-facing car seat that is designed for special needs children weighing 25 to 130 pounds and heights up to 66 inches. Buckle Guard: A simple device that can keep your child from unbuckling his car seat's harness straps. E-Z On Adjustable Vest: This is used with an E-Z-On Adjustable Vest Floor Mount or Tether Strap Mount, is good for special needs kids who try to get out of their car seats and unbuckle harness straps. E-Z On Modified Vest: This allows you to secure your child into the car, even if he needs to lie down when riding in the car due to a body cast, long leg cast, spinal injury, etc. Special Tomato Car Seat: This is available in different sizes for children of all ages and includes modular seating cushions to help support your child in her car seat (helpful if she has decreased muscle tone) and make sure she is comfortable. Recaro Start Plus Car Seat: This is a forward-facing car seat for children with special needs, including children with mild to moderate physical disabilities who need extra postural support. If you need help finding a car seat for your special needs child, a special needs car seat technician may provide assistance. AAP Policy Statement. Transporting Children With Special Health Care Needs. Pediatrics Vol. 104 No. 4 October 1999, pp. 988-992. Reaffirmed July 2013. Pediatrics Vol. 132 No 1.